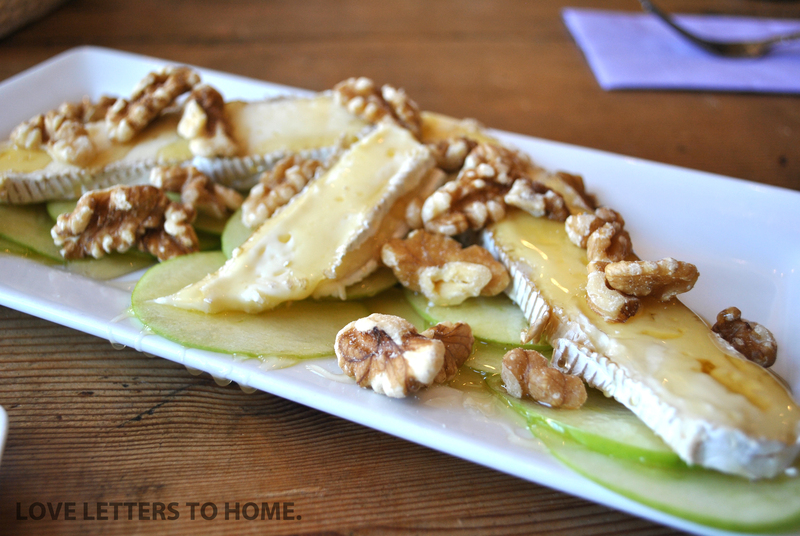 Cheese Dessert Plate | LOVE LETTERS TO HOME. Here is a delicious dessert we encountered on our adventures in Charleston, South Carolina. It is so simple and delicious and is great for entertaining. I called it a dessert, but really it could be a sweet and savory appetizer or small plate! Slice the green apple very thin using a mandolin or just a sharp kitchen knife. with honey and serve with thick crusty bread slices.